You can find many more snippets at Emmet. This makes it easy to directly see if the correct colour code is used. For more info visit official github or in atom via install packages. 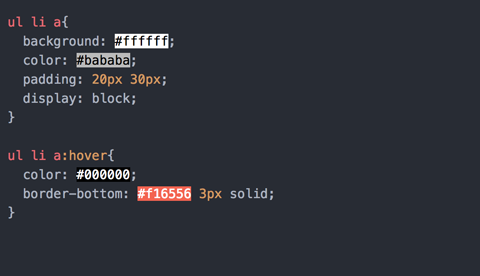 Newer CSS3 properties have prefixes to handle different rendering engines. Not many properties require these prefixes anymore. These are mostly used for the WebKit, Gecko, and Microsoft engines which are grouped together as vendor prefixes. But if you want to support the largest possible audience then you’ll want Autoprefixer. Find it in atom via install packages or github.